For quite some time, many of you have asked where to purchase the different illos seen on my site. So, I am very happy to let you all know that prints and other merchandise featuring my artwork are now available through Society6! 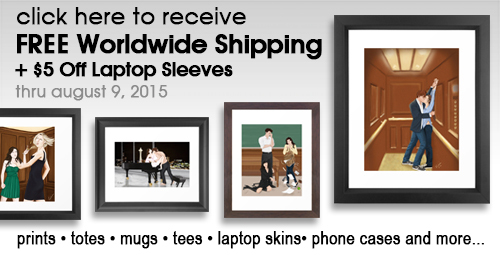 every order will receive FREE WORLDWIDE SHIPPING! Be sure to use only the above link to receive the special offer. But hurry! This offer is only in effect through this Sunday, August 9, 2015! 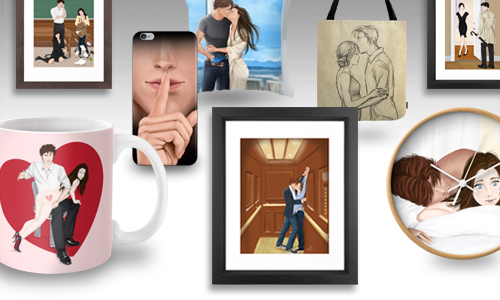 Stay tuned…I’m not just stopping with Society6! 😉 Very soon, I’ll be sharing another terrific store I’ve recently found that offers some additional items that I thought you would all like! But for now, I hope you enjoy shopping, and please spread the word if you know anyone that might be interested in what my shop has to offer! OMG!! we can buy your wonderful illustration, yay!! Congrts for now everyone can see how talented you really are! !